Two weeks ago I ventured all the way up to Bradford for my 15 minutes of fame. 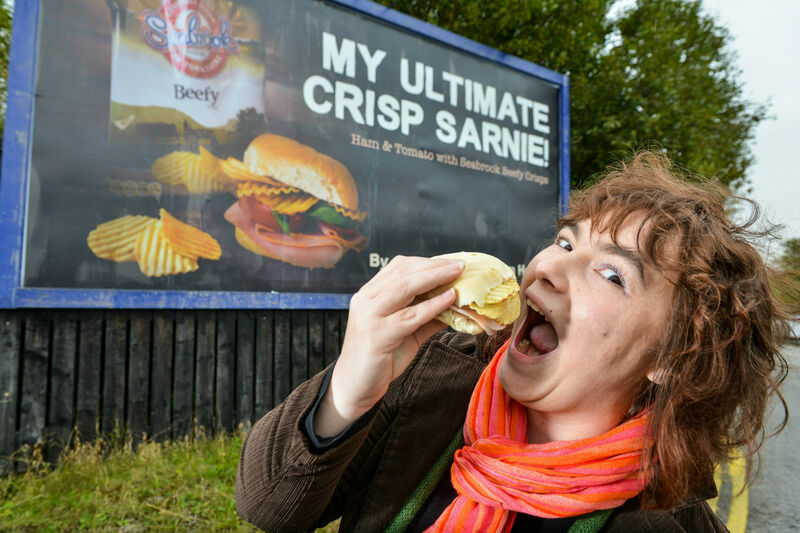 After winning #crispsarnie competition hosted by Seabrook Crisps my recipe was put on a giant billboard in Bradford, the home of Seabrook. 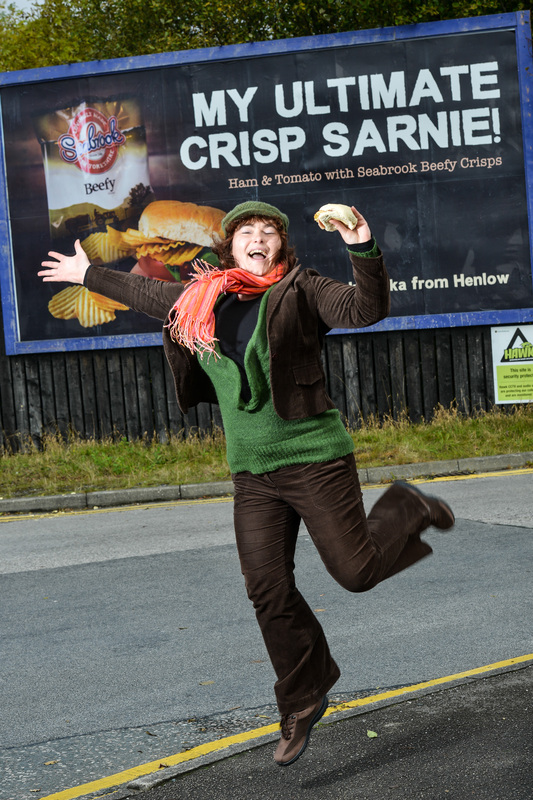 I was invited to take part in a photo shot next to “my billboard”. It was an amazing experience! Seeing my name on this giant advert was really something special. I was met by two lovely PR ladies and the photographer arrived shortly after. It was an extremely windy and at times wet day, so not ideal but hey ho…It was such a rush anyway. I love photography, but usually only when I am behind the camera. It was quite weird modelling for someone who had a full brief of pictures that needed taking. It wasn’t easy and I felt like a fool at times but it was an incredible experience and I am so happy I decided to do it. The photographer was extremely nice and helpful and despite stress and poor weather I really had a lot of fun doing it. I did however gain an incredible respect for models; I have no idea how you can do it all day long girls. And yes, there is an e-book with recipes. If you want you can download it here. Talking about competition, I have a small giveaway for you. 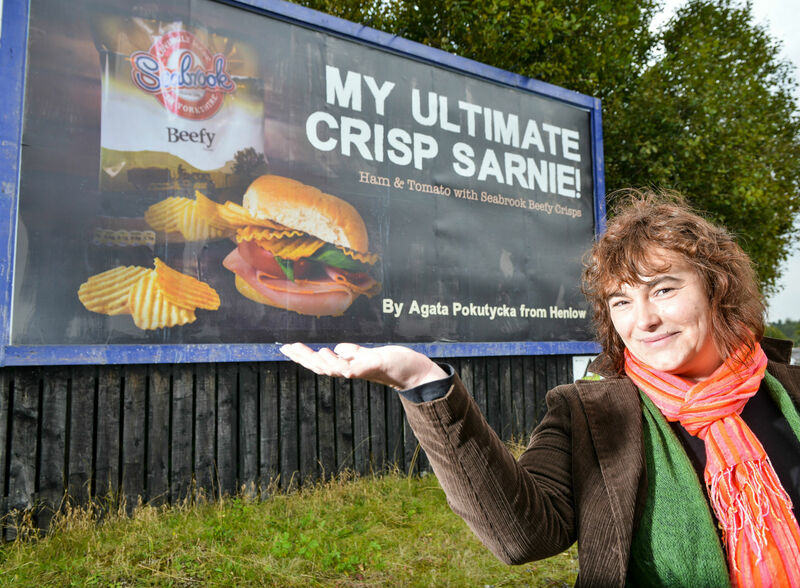 The lovely people at Seabrook Crisps have agreed to ship one box of their finest lattice crisps to one of you lucky people. 2. One obligatory entry per reader – follow me and RT as stated above. Extra RT will count as additional entries. 4. Winner will receive 1 x box of Seabrook Lattice Crisps. 7. Closing date is 28-10-2014 at 23:59pm, an entry made after this time will not be counted. Congrats! What you came up with looks really yummy!